“I’m a cartoonist in the comic book business, not a performer or personality in show business. When I do a job, it’s not my personality that I’m offering the readers but my art work. It’s not what I’m like that counts but what I did and how well it was done. I produce a product, a comic art story. Steve Ditko has died aged 90. The Hollywood Reporter states: “The New York Police Department confirmed his death to The Hollywood Reporter. No cause of death was announced. 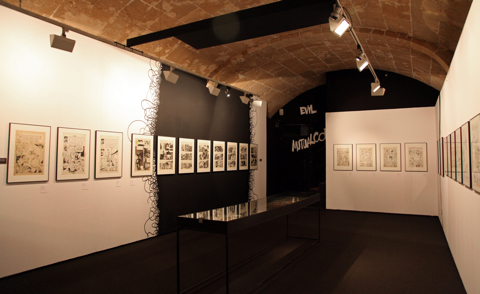 Ditko was found dead in his apartment on June 29 and it is believed he died about two days earlier.” The reclusive, uncompromising, forthright Steve Ditko, co-creator of Spider-Man and Doctor Strange, lived long enough to be given his first major exhibition in his lifetime, not in the USA but in Palma, Mallorca, Spain in the Casal Solleric art gallery, from September 29th 2016 to January 8th 2017. 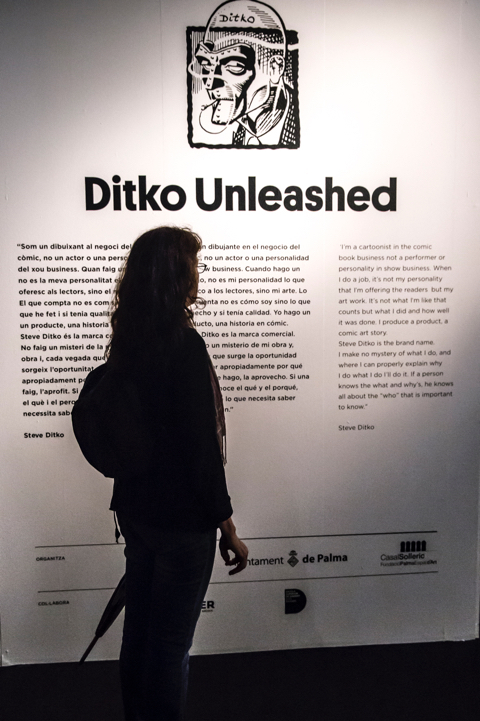 Ditko Unleashed: An American Hero, co-curated by Florentino Flórez and Frédéric Manzano of Editions Déesse, has closed and did not tour. But the sumptuous 368-page catalogue in English and Spanish is available from IDW and highly recommended for its rich iconography and thorough study of his entire oeuvre. 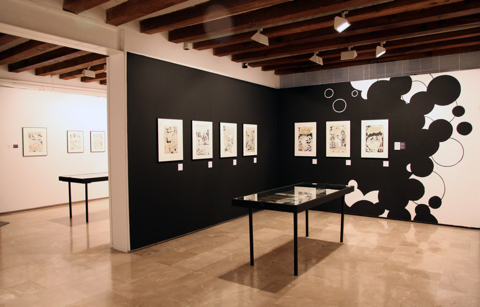 I was lucky enough to visit this remarkable display and interview co-curator Florentino Flórez. 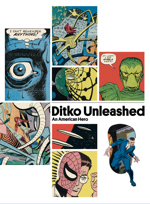 Paul Gravett: What were your organising concepts for Ditko Unleashed? 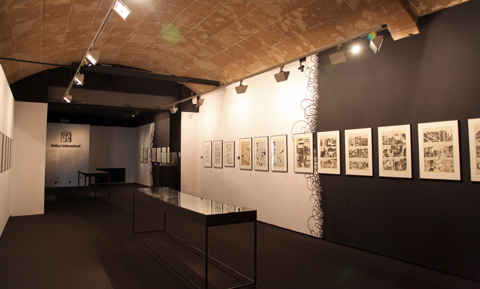 Florentino Flórez: For the exhibition we are showing 120 originals, 20 facsimiles and about 80 comic books. As we have limited space, we group them around his main heroes (Dr. Strange, Spider-Man) and chronologically by the different stages in his career. In one room we present two complete Atlas stories, ‘A Monster Waits Outside’ (1960) and ‘Earth is Off-Limits’ (1963); in others, his spooky Charlton stories from the 1970s, or his later 1980s work for Marvel on Dracula, Iron Man and Rom. In the catalogue, we try to explain all the concepts Ditko explores in his comics and essays. 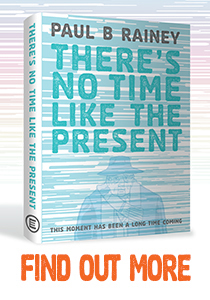 These include his graphics, such as his interest in abstract forms, inking techniques and storytelling. Also his philosophical or political views, for example about the individual or freedom. He has a recurring interest in scapegoats and the need to have good principles. As he repeats: it’s not enough to be against something, you need to stand up for the right things. 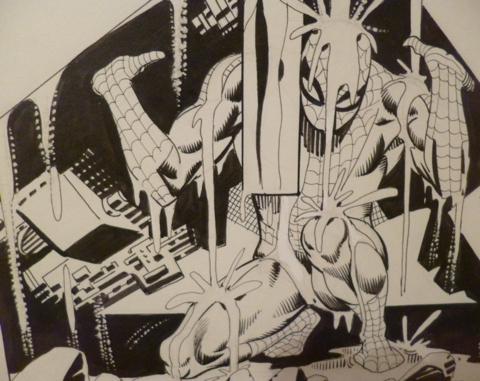 What can we learn from seeing Ditko’s originals up close? First, their size. 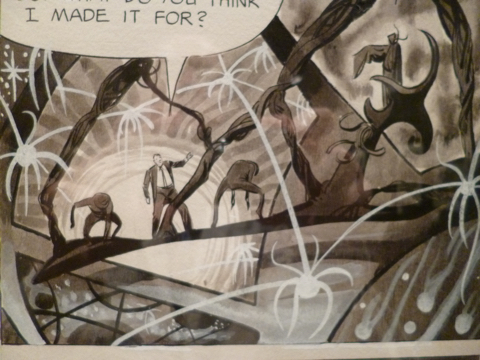 Ditko always likes to work big and it’s great to see very well-known pages at their original large scale. Second, the quality of the lines. 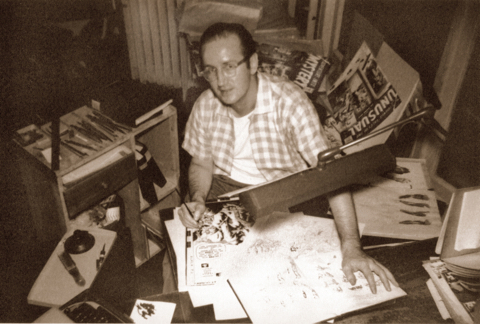 Ditko’s fame as a great inker is well deserved. You can appreciate especially the fine lines he uses and the few occasions when he corrects his mistakes with white-out. In fact, he makes no mistakes! It’s curious to compare those two Atlas stories, only a few years apart, but such a big difference in inking style. 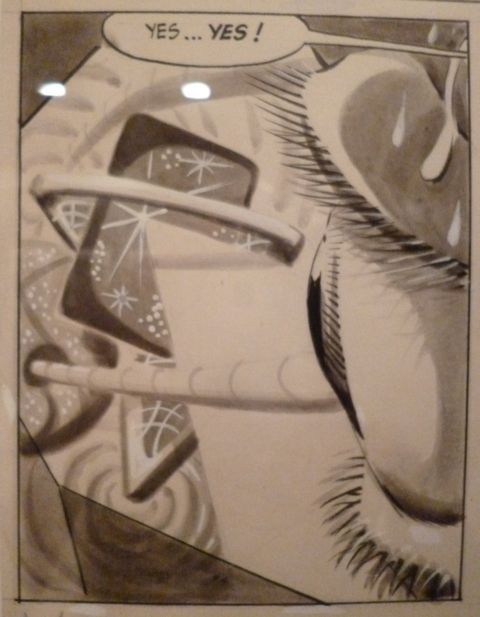 Ditko was always trying new ways with the brush. And third, you can see his delicate washes on his horror stories for Warren’s Creepy and Eerie. What are the most remarkable loans that you secured? I would mention two classic Charlton science fiction covers from the 1950s, and the famous sequence from Amazing Spider-Man #33, where Spider-Man doesn’t give up and finally throws off the machinery that is crushing him. And of course, those beautiful Warren pages, including the complete story ‘The Spirit of the Thing’ (Creepy #9). 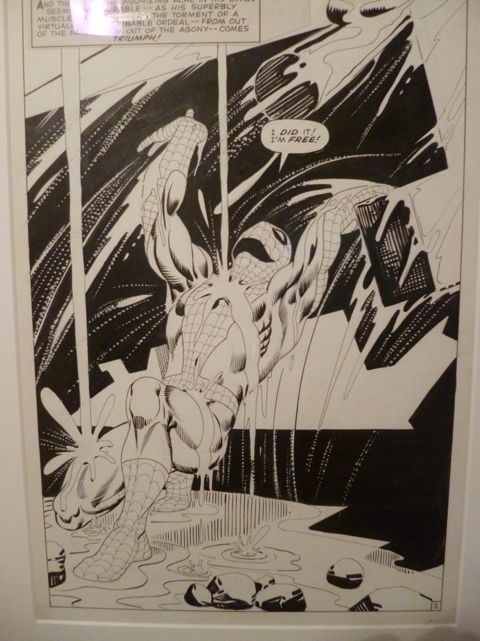 We also show facsimiles of the complete artwork from Spider-Man’s origin in Amazing Fantasy #15, currently deposited in the Library of Congress. 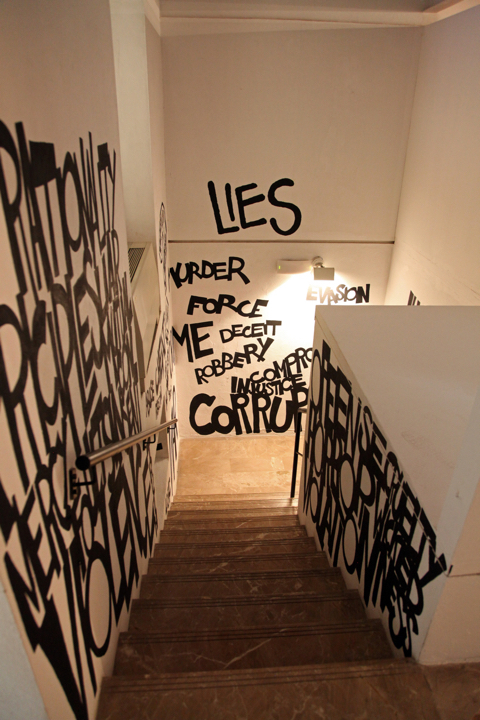 What are your ideas behind the exhibition’s striking decor? 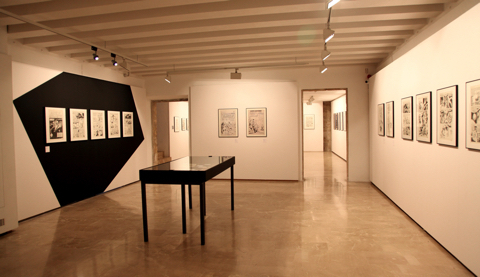 On the walls, we’ve painted different crosshatchings, letterings and textures characteristic of Ditko’s work, and contrasted geometric and organic forms, because Ditko often switches between pure geometry and irregular forms. We’ve used only black or white to separate rooms or works. 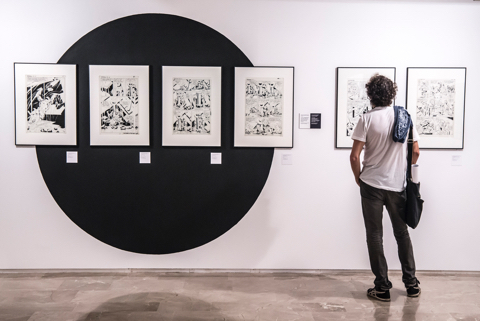 Black and white is one Ditko’s favourite symbols. You either choose white (good) or black (evil); he sees grey as the beginning of corruption. That might sound too strong, but there are practical cases where we have no doubt what is right or wrong. That is what Ditko reminds us. That is thinking in black and white. Why do you show relatively few original pieces since the 1980s? 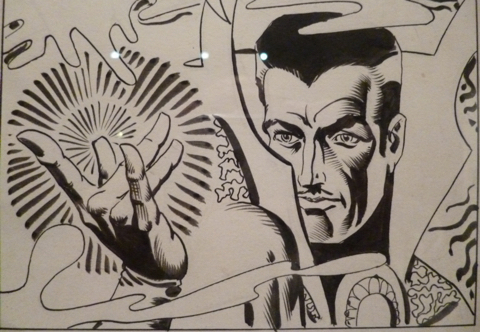 Ditko keeps all of his personal work from more recent decades to himself. And he doesn’t lend those pages. That is his decision. 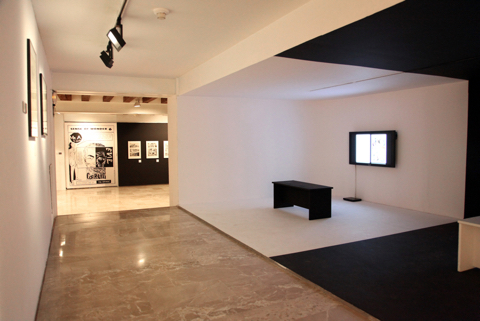 What has been the reception to the exhibition? The public have loved it. It’s the first time that so many original Ditko pages have been gathered and everybody appreciates them. This interview originally appeared in Comic Heroes Magazine in 2017. 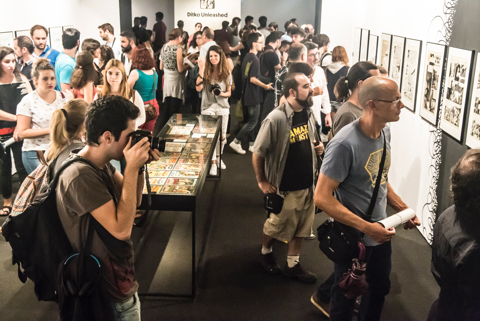 Videos courtesy & © of Palma Comic.